If you and your keyboard are not hitting it off, then maybe it’s time to consider remapping your keyboard. 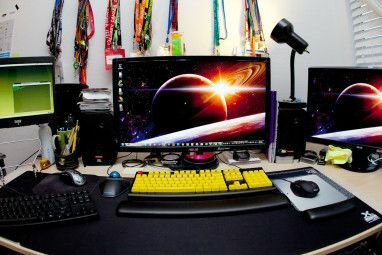 You can get along without a mouse, but the same is not true about the keyboard. Remapping your keyboard is a productivity tweak. Remapping the keyboard involves customizing certain keys for specific functions. As an example let’s take this – my Acer laptop keyboard has the Delete key located on the right corner of the first row i.e. the Function row. That requires me to reach for it. To bring the Delete key closer, I could replace the function of one of the two Shift keys, located on either side of the Home keys (the center row). This is where a remapping utility comes in handy. I substitute the function of the Delete key to the relatively unused Shift key. Other untapped keys can be made more functional by giving them regularly used functions. Remapping utilities also can block the functioning of certain keys, if you feel that they are doing more harm than good. So, remapping gives a nice little boost to productivity. It is also a consideration for dedicated gamers who might want to match the gaming commands with the layout. Though remapping is often advocated for advanced computers, some remapping software makes it as simple as ABC. Here’s a look at three applications you can use to remap your keyboard. MapKeyboard is a little 28KB free software that lets you alter any key to a different function or also disable it. The freeware does not need an install. The only requirement is that you should have Microsoft .Net Framework 2.0 installed on your machine. MapKeyboard is very easy to use. Select the key you want to remap and using the Remap selected key to drop down, select the new key. Using the application, you can also map your mouse buttons. You can also disable any key you want. Click on Save Layout and with a restart, you have your remapped keyboard. This layout is preserved until you decide to revert to the default. Also, you don’t need to launch the program to use the new layout as the changes are saved in the registry. Always remember to revert the layout to the default before removing the program. MapKeyboard is supported on Windows XP/2003/2000/Vista. Sharpkeys gives you an interface for choosing the keys to be remapped. After the selection, it adds a value to the registry which modifies the keyboard layout. Also, once the change is made, you don’t need to run the program again. You can also turn off any selected key to suppress an accidental press. To bring back the original layout, launch the program again and delete the key. Sharpkeys supports a larger number of mappings equal to the number of options for a standard keyboard layout (104). The Type Key feature helps the program recognize the keys with a key press. Unlike MapKeyboard, this application does not map mouse buttons. But depending on the program support for your brand of your keyboard, it can open a few applications and also map buttons for Internet keys. Sharpkeys is supported on Windows XP/2003/2000/Vista/7. KeyTweak is another easy to use tool for redefining the keyboard layout. Like MapKeyboard, this 280KB freeware displays a full keyboard as a visual aid. The virtual keyboard is numbered and mapped to the current keys on the physical keyboard. Highlight the key on the KeyTweak interface and select the remapped key from the dropdown. You can also map it to multimedia or Internet keys if your keyboard has those features. The latest version also lets you map it to Macintosh keys. You can suppress specific keys with a click on Disable Key. KeyTweak has two Teach Modes. The Full Mode allows a user to press two keys simultaneously and map one to the other. The Half Mode gives the options available using a dropdown. The Teach Modes offer a more intuitive way to map the keys. KeyTweak also can be run as a portable app with just the KeyTweak.exe file. The one nice thing about the program is the detailed PDF help file that’s packaged with the program. Do read the brief file to understand why some keys cannot be remapped. KeyTweak (ver. 2.3.0) is supported on Windows NT4.0/2000/XP/2003/Vista/7. These three tools are the ones to go for if you want simplicity and portability. Microsoft also has an application of its own which downloads as a 10MB package and is slightly more complicated to run. The main purpose of the Microsoft Keyboard Layout Creator is to widen the international scope of Microsoft by letting users change the layout to languages that MS does not support. 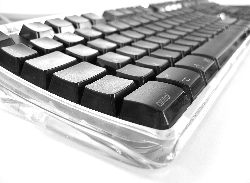 The free program lets you define an entirely new layout of keys. Do you think that remapping keys gives you a more ergonomic experience? Do you think it will add to your productivity? Years ago I swapped my backspace and caps lock keys with a registry hack. I had looked at my keyboard one day and realized that the key I used the most - backspace - was one of the hardest to reach but caps lock I almost never used. So I switched them and love it. My IT department at work hates me though. It's kind of fun to watch them try to figure out what's going on when they access my computer. BTW - I've found that a full reboot after making the change isn't always needed. Logging off user and back on generally does the trick. Yeah, logging off and on also has the same effect. MS has the best tool. It does even allow exporting and all for free. And no idea what you mean by complicated. My 10 year old son did do remapping. I agree. MS Keyboard Layout Editor is an excellent tool for creating new layouts or making major changes to existing ones, and the results can be install on any other PC without needing supporting software. If you just want to remap a couple of keys, or perhaps swap/disable a modifier key (CTRL, SHIFT etc) then MSKLC is overkill and either AutoHotKey (if you're using it already) or another key remapper would probably be a better option. 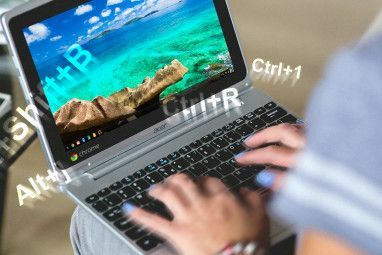 I just recently found KeyTweak for swapping the Ctrl & Caps Lock keys in Windows XP. Works great. I use SharpKeys on my HP netbook to swap my up-arrow and right-shift keys for more natural touch typing. First it was with XP and now with Win7. It's easy and effective. Gihan, I saw a macro tool the other day that I believe would do what you want in combining keystrokes, but I can't find it! If I do then I'll comment again. I've found that Autohotkey is a great tool for me. I use it mainly for text replacement shortcuts, but it does keyboard remapping too. Bit of a learning curve though. XKeyCaps (http://www.jwz.org/xkeycaps/), though very old works great in the linux world. And yea, my vote for KeyTweak - it saved my EEE PC when few of its keys drank my Sprite! Does anyone know of a method to map "ALT-TAB" or "WIN-TAB" to a single key. Would be nice to cycle through open apps with the multimedia keys I never use on my keyboard. I tried keytweak which from the description seemed to imply it could do that, but it can't. AutoHotKey will let you convert any keypress to another keypress, and a lot more (including almost everything mentioned in the article). It's FREE, there are a lot of example scripts available, and it has a lot of support. (For example, I use it to remap my ABIT MediaXp Pro's infrared remote buttons into useful keypresses; the bundled software is pretty useless). Just wanted to add my enthusiastic view of AutoHotKey. As others said, it does so much and best of all it is free. Now I can't live without it. Hotkeycontrol looked as if it would fit my needs. Unfortunately the evaluation period is a mere 15 days. After that it costs USD34.95. Even worse - future upgrades cost as well! I guess I will keep looking.